The Society runs a programme of Family History Advice sessions, to which anyone is welcome, whether new to family history research or not, and whether a member of the Society or not. At an Advice session an experienced member of our Society will spend about 45 minutes with you to advise you on possible ways to move forward with your family history research. 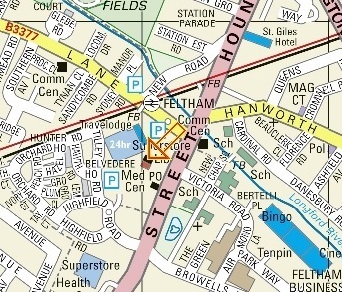 The sessions run from 10:00am to 1:00pm, and are held at Feltham Library, The Centre, High Street, Feltham, TW13 4GU, as indicated on the map. It is preferable that you book youself into a time slot, so that we can avoid trying to help two visitors at the same time. Please send an email to the Advice Session Coordinator to tell us when you would like to visit, and what you would most like to achieve. The sessions take place on the third Saturday of each month. This is the planned schedule of Advice sessions through to the end of 2019. There is no Advice session on April 20th 2019 as this is Easter Saturday and Feltham Library will be closed. Would you join our small team of advice givers? It's all on a best efforts basis. We have 3 advisors at present but would like a few more just to lighten the load. If you feel up to it and can be available on Saturday mornings (as above) please use the email link above to make yourself known to Ann Greene, who coordinates the Advice sessions. If you are a member, and have come to a brick wall, or just need help; provided it is a matter that can be replied to briefly, we will try to give you return advice by email. Just send an email to the Advice Session Coordinator. No garantees on this one.